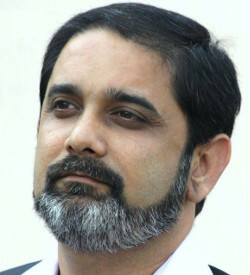 Tushar Joshi: My 5 Favorite NetBeans IDE Features! 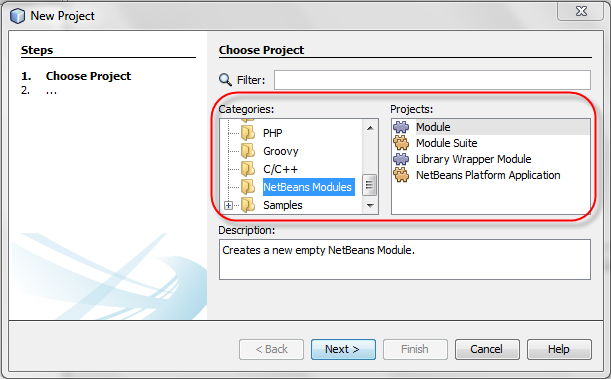 Continuing a series of articles focusing on NetBeans users and their five favorite NetBeans IDE features, here's the next part, by Tushar Joshi. -- NetBeans team. I am a software architect working on multiple technologies. I am involved with NetBeans IDE and the NetBeans Platform since 2008 and have been a part of NetBeans community since then. I have developed a few NetBeans IDE plugins and also participated in the NetBeans Community Acceptance [NetCAT] program as a community tester. I have also used NetBeans IDE as an IDE for teaching Java to students. 1. Fantastic Support for the NetBeans Platform. I believe that the NetBeans Platform was born because of the NetBeans IDE. To build the IDE, a base framework was thought of and then the NetBeans IDE was based on that NetBeans Platform. This platform is a fantastic thing that has happened to the desktop Java application world. This NetBeans Platform is a pure Swing based desktop application framework in Java. It provides all the basic boilerplate facilities needed in any desktop application and many companies have based their desktop applications using this NetBeans Platform. I like the way NetBeans IDE provided features for creating NetBeans Platform applications. Recent annotations based template generators and all the wizards which help in the development of NetBeans Platform application makes learning the NetBeans Platform easy. 2. Extensible Architecture. Just because of the fact that NetBeans IDE is based on the extensible NetBeans Platform, it is possible to extend the IDE and add more features of your choice in your favorite IDE. After some learning, I was able to add the "Run with Arguments"  module to NetBeans IDE, which provides an easy way for students to run small Java applications with command line arguments. This is just one example of users having the power to extend the IDE for their needs. Due to the modular decoupled architecture, it is possible to extend the base IDE with advanced features. This feature is fantastic for me as a user because many people in the NetBeans community develop plugins for different things and they are made available oninthe plugin portal for everyone's use. 3. One Stop Shop for Almost Everything I Need. All the standard languages and technologies are available out of the box in NetBeans IDE. We just have to choose which bundle we need to start with. Even if we download the basic Java bundle, it can be later converted into an IDE which has all features of other bundles by installing the plugins available on the central plugin portal. There is no need for shopping in many places for standard features. 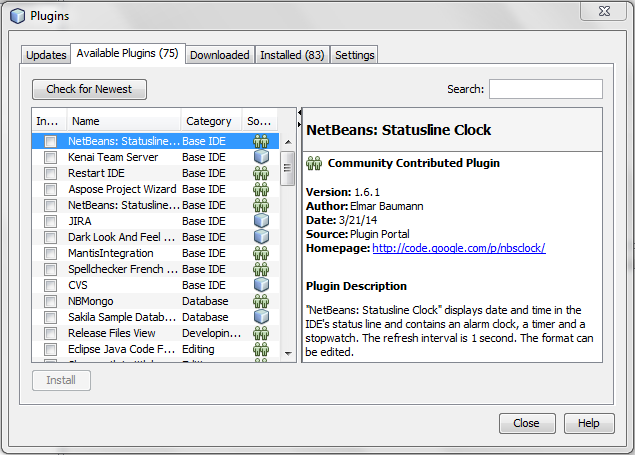 Once a new plugin is stable, it is available in the plugin portal, which is directly accessible from the NetBeans IDE interface, without any additional configuration. 4. Active and vibrant community. Being an open source project has its own merits. 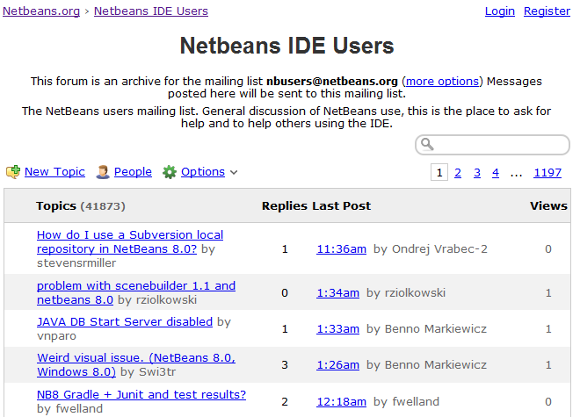 There is a huge community backing NetBeans IDE users. Any user can ask any question on the community mailing list and many community members readily help them. I have got all my answers for NetBeans IDE on this community. There is the additional advantage of asking question to the community instead of searching answers via search engines or documentation. Community members often suggest better ways to perform a certain task, therefore helping the seeker to solve the problem better that they may have thought. The answers received on the community forum are weighted answers and the person who answers has already spent their time in the IDE and they provide experienced solutions. 5. Gateway to explore latest Java features. Java is an emerging technology and will be advancing with other advancements in technology. We have assurance from NetBeans IDE that it will continue to provide support for new Java features as they become available. We know that NetBeans IDE 8.0 supports all Java 8 features from day 0 of Java 8 availability. 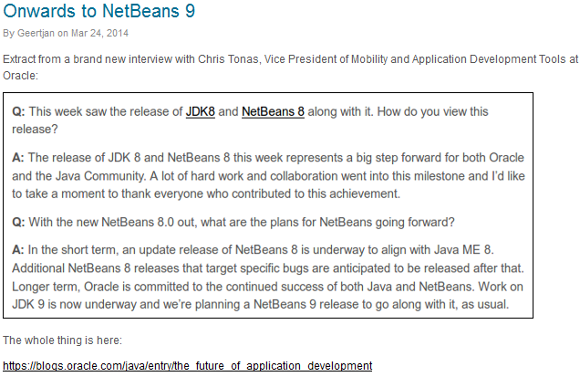 It is also known now that Java 9 will be supported with a new version of NetBeans IDE, NetBeans IDE 9.0. This makes NetBeans IDE a major tool for learning and exploring the latest Java features.